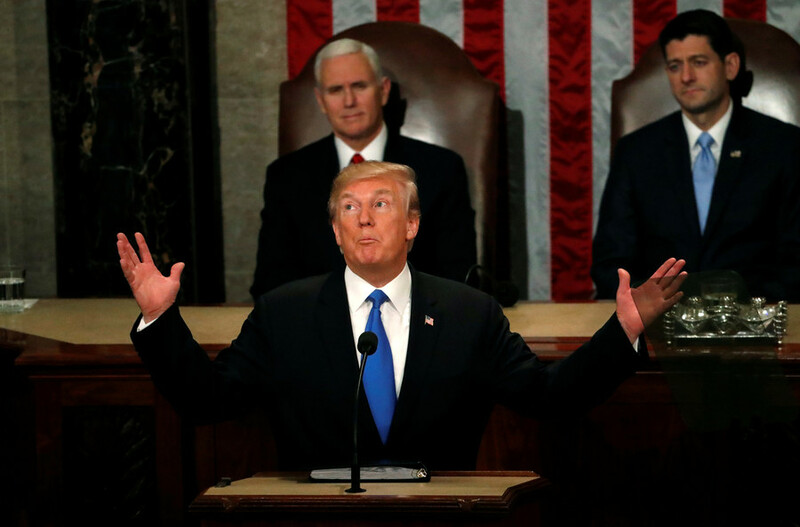 Some Congress members were caught deeply absorbed in their phones during the State of the Union Address as Donald Trump laid out his plans for revitalizing the American economy. One was caught playing a video game. 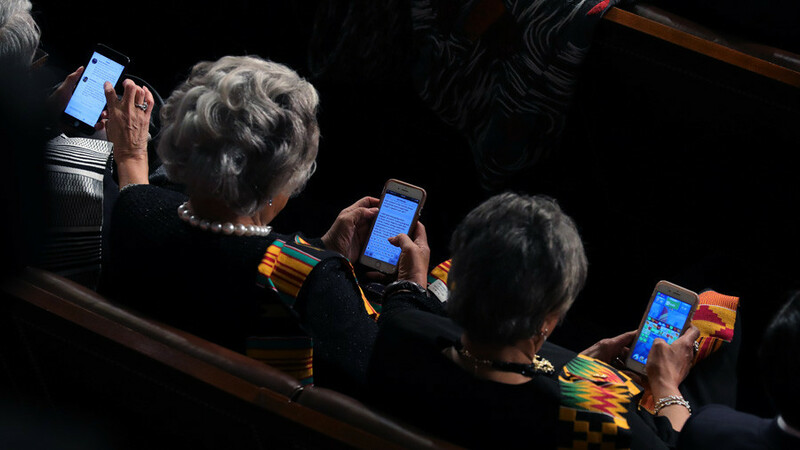 Brenda Lawrence, Democratic Representative for Michigan, was caught playing ‘Candy Crush’, a popular iPhone game, during the president’s first State of the Union Address. Could this explain why so few Democrats applauded Trump as he announced his first-year achievements inside the Capitol? In the revealing photograph, reportedly snapped by Chip Somodevilla of Getty Images, Lawrence is seated alongside Bonnie Watson Coleman and Joyce Beatty, Democratic representatives from New Jersey and Ohio, respectively. 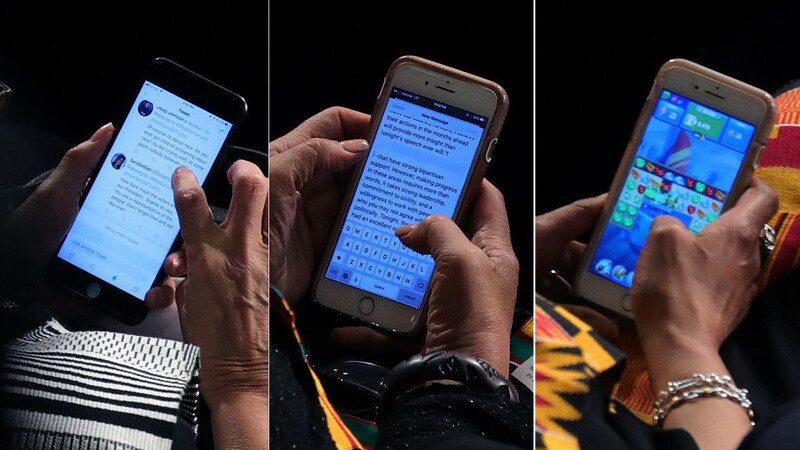 Aside from underscoring the powerful capabilities of camera equipment, the photo showed Watson checking her Twitter account – with the type clearly visible. Beatty, meanwhile, was reading over a draft of a press release in response to Trump’s speech. No African American should have stood. He’s done Nothing to warrant a standing ovation from US. I applaud them for sitting. 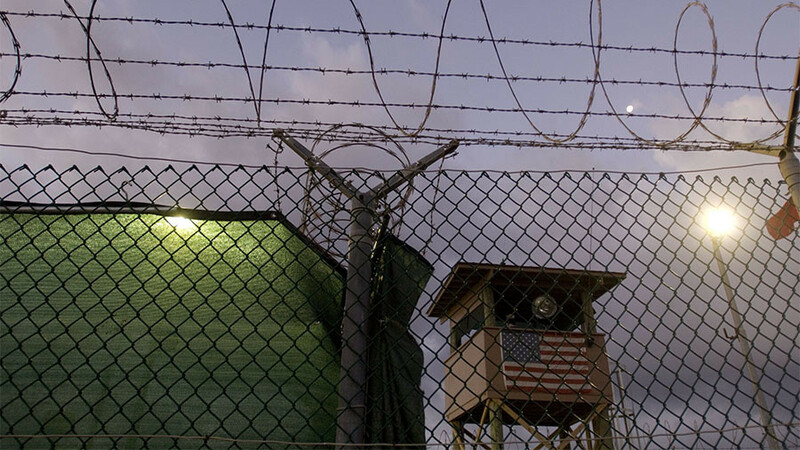 All three Democrats are members of the Congressional Black Caucus. 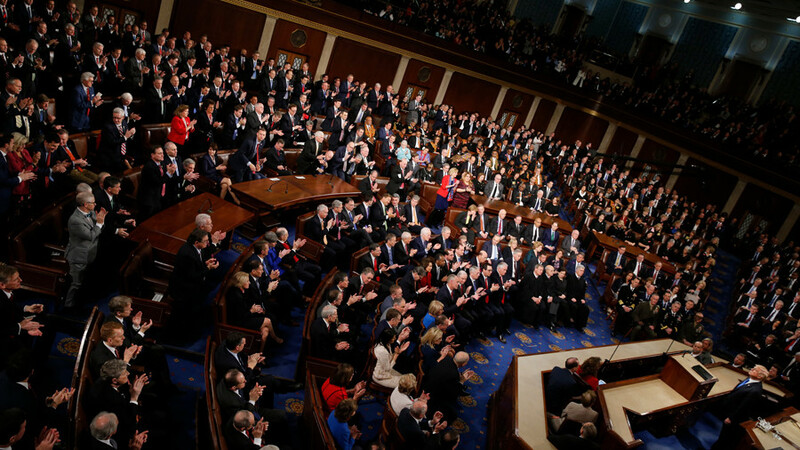 Many commentators were quick to note that the Caucus did not applaud when Trump announced that black unemployment rates were presently at the lowest rates ever recorded. “Unemployment claims have hit a 45-year low. 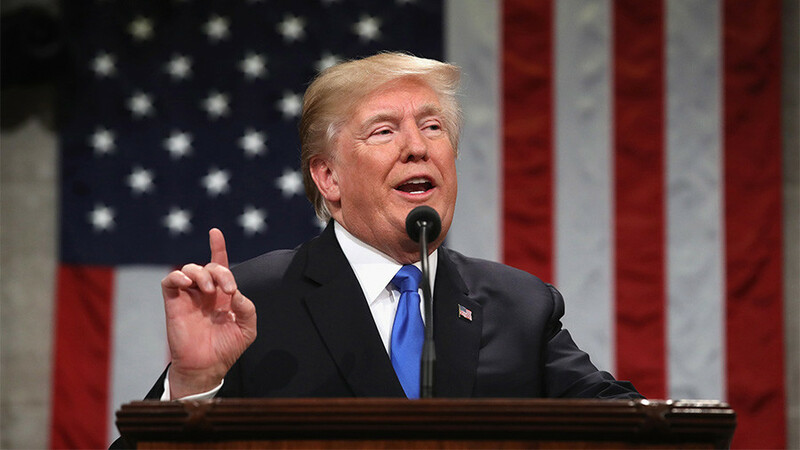 African-American unemployment stands at the lowest rate ever recorded, and Hispanic American unemployment has also reached the lowest levels in history,” Trump said. 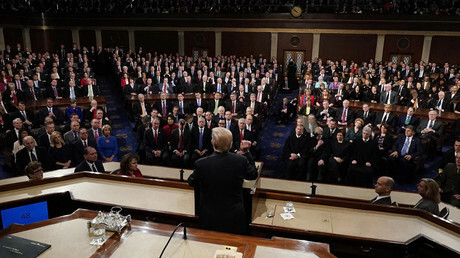 This wasn’t the only moment when the Democrats as a whole refused to stand and applaud for the Republican populist who is guided by the bumper sticker slogan ‘Make America Great Again’. Another statement that failed to bring the Democrats to their feet in applause came when Trump made reference to God. A spokesperson for Beatty told DailyMail.com on Thursday that she had already read through Trump’s speech. The other two congresswomen's offices, however, did not provide an explanation for their bosses’ behavior. 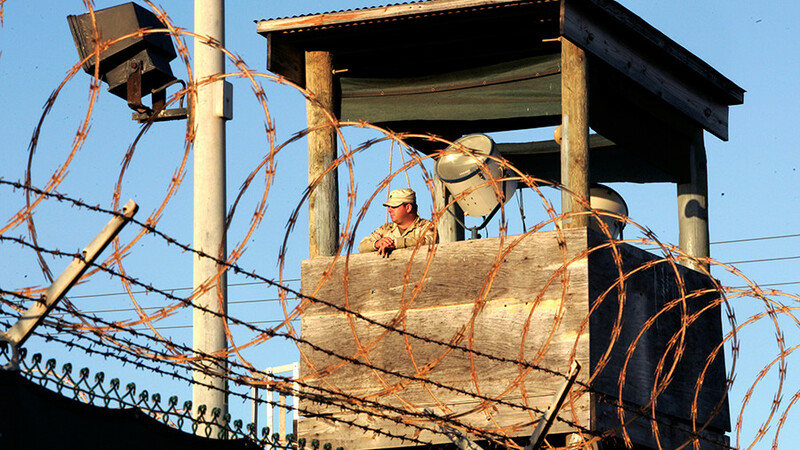 Members of Congress receive an annual salary of $174,000.